Current Overwatch League (OWL) champions London Spitfire have recently announced a new partnership with British university tournament organiser, the National University Esports League (NUEL). Commencing Sunday, April 7, Overwatch League viewing parties are scheduled to take place in 11 different locations across the U.K. and Northern Ireland, from as south as Southampton to as north as Glasgow and Belfast. 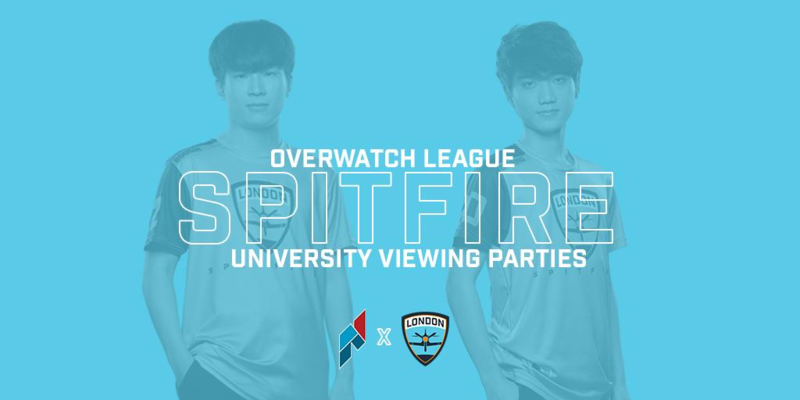 Fans will be able to join the party at a mixture of campus and non-campus venues across the country to see in the Spitfire in action throughout Stage 2 of OWL. Alongside the matches themselves, the viewing parties will have a host of Spitfire merch and gear for players to pick up, from flags and keepsakes to tees and player jerseys. In total there will be 19 viewing parties over Stage 2 with the dates varying by location, so fans will need to mark the date that the party comes to their local venue to ensure they don’t miss out. 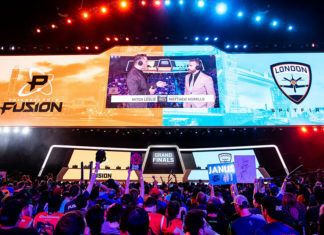 Stage 2 of OWL kicked off on Thursday 4 April, with London Spitfire taking home a victory over Florida Mayhem in their first match on Friday. They will next look for a victory against league newcomers Atlanta Reign on Sunday 7 April at 9.45pm BST. Fans in Liverpool, Staffordshire, and Swansea can catch that match at their local NUEL viewing party. The full details and locations of all London Spitfire viewing parties can be found via the NUEL website, and if fans are unable to attend they can always tune in on the OWL Twitch channel. Esports Insider says: Viewing parties are always a great way to get fans together and give them that community experience on a smaller scale compared to seeing the event live in studio or arena. Partnering with the NUEL is, of course, a smart move to reach the Spitfire’s target audience and the fact that they have explicitly targetted non-London areas demonstrates a keenness to be more than just a London team.